Welcome back! I hope everyone had a great holiday to mark the end of a great year. 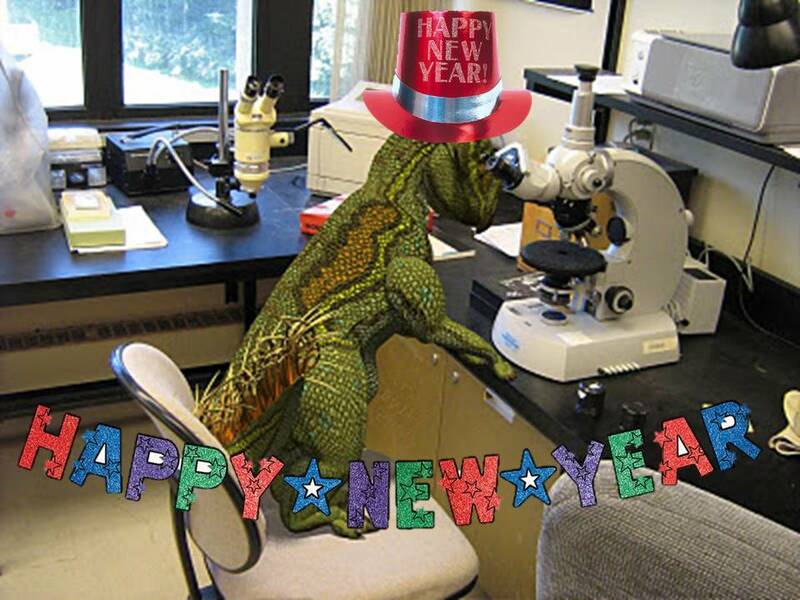 2013 marked the inaugural year for Paleoaerie. Version 1 of the website was set up, providing links to a wealth of online resources on fossils, evolution, the challenges of teaching evolution and the techniques to do it well. The blog had 26 posts, in which we reviewed several books and websites, discussed Cambrian rocks in Arkansas and the dinosaur “Arkansaurus,” and went to the annual meeting of the Society of Vertebrate Paleontology. We looked at geologic time and started a series on dinosaur misconceptions. We also had several Forum Fridays, recapping the many news stories reported on the Facebook page. One of the recent things we’ve started is Mystery Monday, posting a fossil of the week for people to try to identify. Speaking of which, to start off the new year, the first mystery fossil will be posted early. look for it at the end of this post. In the upcoming year, we hope to expand the site, providing many more resources, along with continuing posts on Arkansas geology and fossils, including many more mystery fossils. Stick with us and you will learn about the history of Arkansas in a way that few people know. The site will be revamped to be more user-friendly and enticing to visitors. If plans materialize, we will be adding interactive activities, animations, and videos, many of which will be created by users of the site. Materials from workshops and talks will be posted for people to view and use. More scientists will be posted that have offered their services to teachers and students. We encourage you to contact them. They are there as a resource. Of course, all of this does not come free. it takes money to provide quality services. Thus, more avenues of funding will be pursued, including other grant opportunities and likely a Kickstarter proposal. You may soon see a small button on the side of the website for Paypal donations. Any money donated will go first towards site maintenance. Other funds will go towards a student award for website design, a 3D laser scanner to put fully interactive 3D fossil images on the site, and materials for review and teacher workshops. If grant funding becomes available, additional money will be spent on research into the effectiveness and reach of the project. But even if no more funding becomes available, you can still look forward to continuing essays on Arkansas fossils, reviews of good books and websites, and curation of online resources suitable for teachers, students, and anyone else interested in learning about the endlessly fascinating history of life on planet earth. I mentioned at the beginning about the latest mystery fossil. Here’s the first hint: it is a very common fossil found in Arkansas and lived during the Mississippian period roughly 330 million years ago. More hints and photos to come. Leave your guesses in the comments section. Don’t worry about getting it wrong, every success has lots of failures behind it. Errors are only stepping stones to knowledge. Clue number 2: Many people think I’m a coral, but I’m not. Clue number 3: I am named after a famous Greek mathematician and inventor. By paleoaerie in Mystery Monday, Uncategorized on January 2, 2014 .